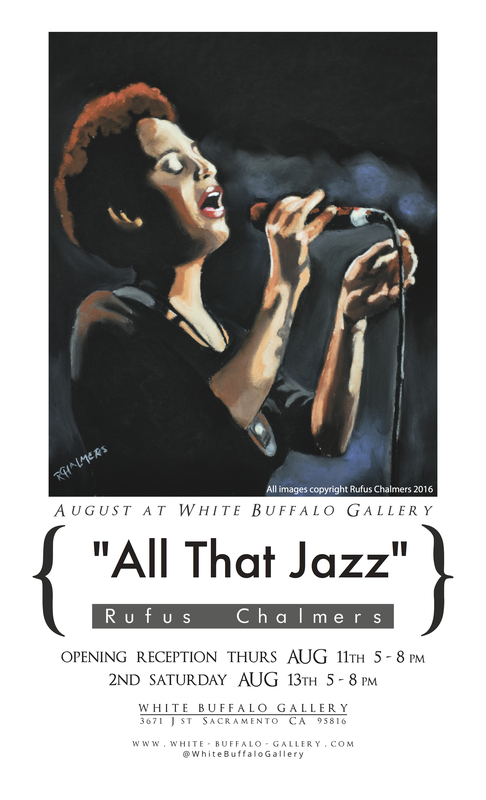 White Buffalo Gallery is excited to present “All That Jazz” art of Rufus Chalmers for the month of August running until Sept 3rd. Rufus is a prize-winning pastel artist specializing in portraits of people engaged in their ordinary pursuits. His most recent series in blacks, whites, and grays, depicts famous American jazz artists in the act of making the music which has thrilled and transported millions.